The “privilege of the floor….” Citizens get to speak truth to power at the Neptune Committee meetings. 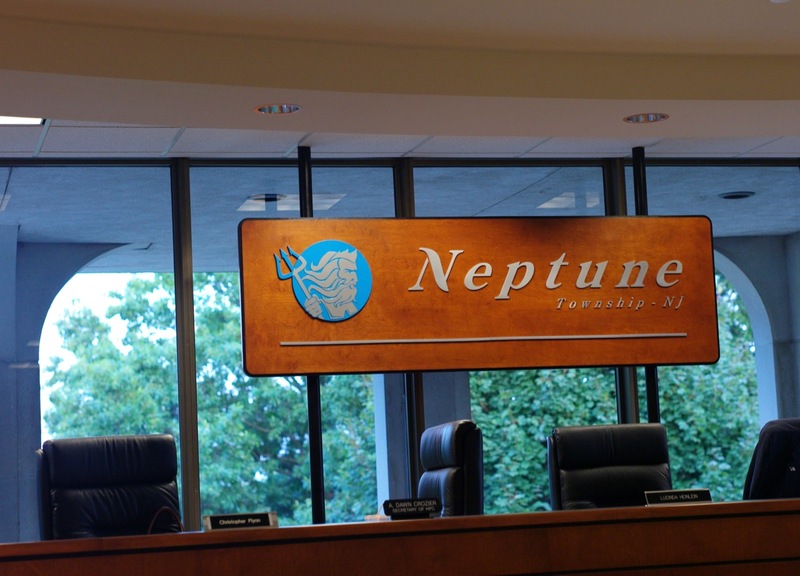 Neptune Township Committee Room at the Mother Ship….Is anyone listening at the dais? At the end of each Committee meeting, citizens finally have the chance to bring up any subject they wish, even if it is not on the agenda. The only problem is that the speaker who steps to the microphone only has 5 minutes. Typically, during that 5 minutes, the Committeemen do not interrupt, although they may. But the real problem is that they rarely actually respond to a citizen’s comments. When your time is up, you must stop speaking. Jack Bredin goes to most of those meetings, and when he is there, he makes a point to speak for 5 minutes during the “privilege of the floor” also known as the “public comments” portion. He prepares his remarks very carefully and he reads what he has prepared. At the February 26 Monday meeting, Jack decided to focus on the naming of Wesley Lake on the official Township Tax map where it no longer says Wesley Lake; it says Wesley Detention/Retention Basin. We have written a number of posts about this issue. You can use the search box at the top right and type in Wesley Lake or other key words. When we post a number of articles about a subject, we always try to move the ball up the field with something new, as we do now. But repetition is also valuable as a teaching tool. Below is the key point which Jack made on this occasion when speaking to the 3 Township fathers who were present. “The name change of Wesley Lake to “Wesley Detention/Retention Basin” on the Tax Map is ineffective because the Tax Map is now inconsistent with all other Township maps that identify this body of water as public open space reserved for recreation and conservation. Blogfinger believes that the Township Committee has already made the choice when it named the chartered governing group the “Wesley Lake Commission” and not the “Wesley Detention/Retention Basin Commission.” This naming discrepancy among the various maps needs to be resolved because those two names imply totally different functions for that body of water and it effects whether or not dirty street water can be permitted to enter the lake. An important fact is that the Tax Map is the official map of Neptune Township, and only the Committee can make changes. Yet, at a previous Committee meeting, no member of the Committee recalled approving this change. Of all the maps in town, this one is the only one that refers to Wesley Lake as a Detention/Retention Basin. The Asbury side calls it “Wesley Lake” as do all the other Neptune maps including the Master Plan map, the Zoning maps, the ROSI maps and the (missing) water shed map. The ROSI is an inventory of recreational and open spaces in a town. This list ties into Green Acres funding. Wesley Lake is on that list. I walked by Wesley Lake today, and unfortunately, today it looks like a retention basin. Maybe we need to start a petition and present it to the TC? Please suggest a ‘next step’ to help return the tax map to the term “wesley lake”. There is a presumption of validity to all Municipal decisions until overturned. In this case there are two different decisions of what the permitted use is for one Lake. Municipal decision (1). The open space map identifies Wesley Lake, as a Lake,and all the facts indicate it is. Municipal decision (2). However, some Consulting Engineer testified incorrectly before the Wesley Lake Commission, that the Lake is a Detention Basin. 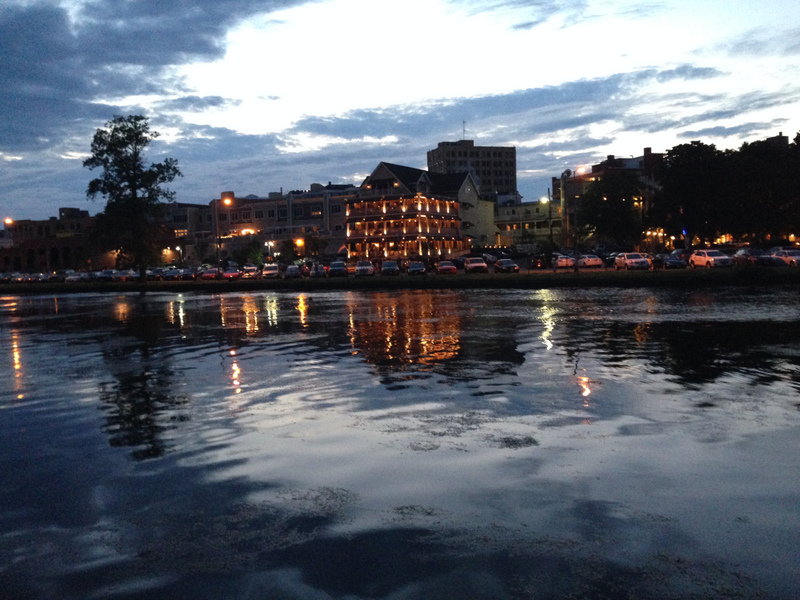 His opinion was based on the new tax map that does refer to the Lake as a Detention Basin. It cannot be an open space Lake and a Detention Basin at the same time. It must be one or the other. So, as a result of these two different decisions, approving two different maps, the members of the Wesley Lake Commission have no clue whether they are preserving a Lake as open space, or developing a Detention Basin to treat dirty street water.